Additional reporting by: Jenna Corderoy, Guy Shrubsole, Peter Geoghegan, Mary Fitzgerald. Image: Isabel Infantes/PA Images. 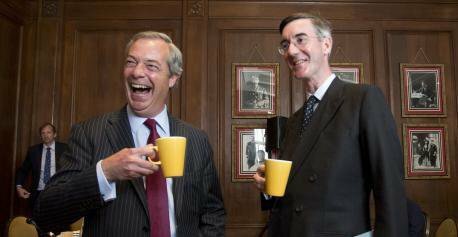 All rights reserved.A number of Cabinet members appear to have breached the rules of government through their membership of a secretive hard-Brexit lobby group, now chaired by the outspoken government critic Jacob-Rees Mogg, openDemocracy can reveal today. Senior Conservative ministers including Sajid Javid, Andrea Leadsom, Penny Mordaunt and David Gauke have used taxpayers’ cash to fund the hard-Brexit European Research Group (ERG), which is now led by Rees-Mogg MP, who has been accused in recent days of trying to undermine Prime Minister Theresa May and oust her Chancellor, Philip Hammond. The ministers have funded this lobby group (through their expense claims) whilst holding posts in government – despite the ministerial code prohibiting ministers from becoming “associated with non-public organisations whose objectives may in any degree conflict with government policy”. openDemocracy has also uncovered new evidence that a number of other key figures in government – including Brexit ministers Steve Baker and Suella Fernandes – have remained active in the ERG after taking on government posts, and that the senior whip Chris Heaton-Harris has hosted meetings for them inside parliament. The European Research Group is a ruthlessly organised faction within the Conservative party, funded by a mix of taxpayer cash and dark money. It has spent 25 years pushing to transform Britain into what its co-founder calls “an offshore, low tax haven”, and since the EU referendum it has published a string of letters, reports and demands for a hard Brexit. openDemocracy has previously revealed that the European Research Group employs a staff member whose salary is funded by Tory MPs’ membership ‘subscriptions’, paid through their expense allowances. We have also revealed that six of Theresa May’s current ministers had paid subscriptions to the group shortly before taking roles in the government. Our new analysis of data released by the Independent Parliamentary Standards authority shows that, since 2010, ten Conservative MPs have paid subscriptions to the organisation while holding ministerial posts. Four of these – including Michael Gove and Chris Grayling – only did so in the period before the European referendum, when Cameron had waived Cabinet collective responsibility on the issue of EU membership. But six more have paid subscriptions to the group outside that period, including four who are still in government: Andrea Leadsom, Sajid Javid, David Gauke, and Penny Mordaunt. Commenting on our findings, the Labour MP and former culture secretary Ben Bradshaw said: “Under a functioning government, anyone who had allegedly broken the ministerial code could expect – at best – a difficult conversation with the prime minister. The fact that this almost certainly won’t happen shows quite how much Theresa May is in hock to the radical right of her party”. In February 2017, the Times described the European Research Group as “the most powerful opposition force in British politics”, organising through a Whatsapp group with “a sense of discipline” which puts even the (famously disciplined) SNP “to shame”. In an interview with ConservativeHome in July, the ERG’s then chairwoman, Suella Fernandes MP, claimed their “communication group” had more than a hundred members. The ERG's most recent intervention on Thursday saw Rees-Mogg give a speech in which he called for a fundamental change in the approach of Theresa May’s Brexit negotiation team, saying: “Their approach seems to be that we must accept what the EU will allow us to do and build from there. This is no way to negotiate and it is no way for this country to behave." Meanwhile, long-term ERG member Bernard Jenkin MP slammed the Chancellor, Philip Hammond, for remarks at the World Economic Forum in Davos, which he considered to be insufficiently supportive of a hard Brexit, and saying “maybe the prime minister needs another reshuffle”. This latest row comes after months in which the ERG has become increasingly emboldened. In July, they published a paper written by Charlie Elphicke, MP for Dover and ERG member, entitled ‘Ready on Day One’, about how to meet “the Brexit borders challenge”. The foreword to the paper was written collectively by the “European Research Group of Conservative MPs”. In September openDemocracy also revealed that the ERG’s work is funded by at least £250,000 of taxpayer cash, as many of its MP members siphon off funds from their research budget to pay for a pooled ERG staff member. Our new analysis of IPSA data shows that this figure is actually higher: a minimum of £315,000. 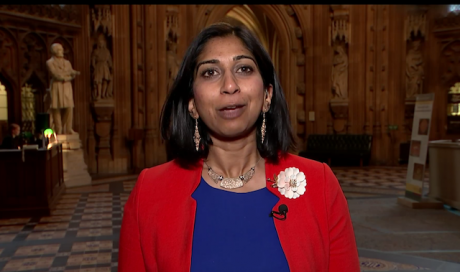 Despite the group taking taxpayer money, the ERG has long refused to list its members – with Fernandes repeatedly declining to do so in what many described as a “car crash” Channel 4 News interview, hours after openDemocracy revealed that her organisation was funded by taxpayer cash. Suella Fernandes, interviewed on Channel 4 News. The full spreadsheet of those who have claimed expenses to pay for their ERG subscription is here, although it is not clear that this is the full membership of the organisation, as a number of people listed on ERG letters and other publications – including office holders – are not included, and the list is significantly shorter than the 50-100 members that its leading figures sometimes claim to have. openDemocracy has tried on many occasions to contact ERG representatives to get more clarity on who their members are and how their operation is funded. They have so far declined to respond. In February 1998, the Labour MP Andrew MacKinlay received a mysterious package at his office in parliament. As he explained in a point of order to the Speaker, Betty Boothroyd, “the postal system apparently could not find any person to whom they could be appropriately delivered”. The Danish referendum on membership of the Euro in 2000 was seen as a key moment in the process of European integration. Joining the Euro had widespread support from the Danish establishment, but was ultimately rejected by the people of Denmark. That someone was the secretary of the European Research Group – the young man who helped found the “party within the Conservative party” which is now bending government rules and holding Theresa May to ransom. The young man’s name was Daniel Hannan. Hannan, now a right-wing commentator and MEP, has been described as “the man who brought you Brexit” and is, by all accounts, a remarkable character. According to a fellow student at Oriel college, Oxford, his obsession with leaving the EU was matched only by his interest in magic, and in the occultist Aleister Crowley. One evening, we are told, he was convinced that he would win the election for president of the Conservative club, as he had cast all of the right spells. He returned to his room that night, baffled at having lost, only to discover that a key candle had gone out. 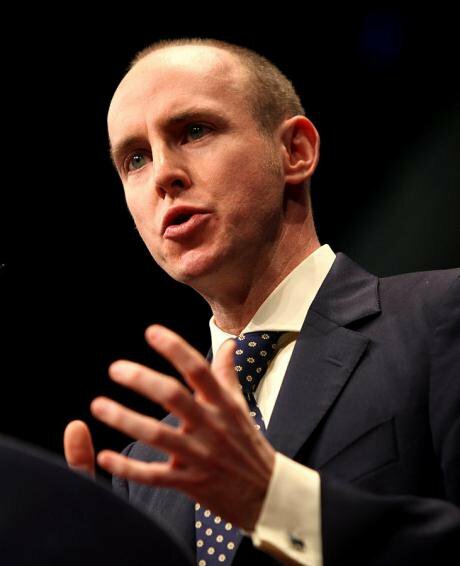 But Hannan found another way to dominate university Conservative politics, establishing a Campaign for an Independent Britain, whose membership included Nicky Morgan, who later served in David Cameron and Theresa May’s Cabinets, and Hannan’s old school friend Mark Reckless, who has switched between UKIP and the Conservative party during his subsequent political career. According to the Guardian, the Campaign for an Independent Britain was able to attract prominent politicians to speak at its events. Shortly before Hannan’s graduation in 1993, he wrote to the Conservative MPs who had rebelled the year before over the Maastricht treaty and offered his services as a researcher. About twelve of them said yes, and the European Research Group was founded under the chairmanship of Michael Spicer, who would go on to chair the 1922 Committee of backbench Conservative MPs, before stepping down as an MP in 2010 after being caught in the 2009 expenses scandal paying for maintenance of his helipad with public money. “I set up the European Research Group in July 1993 towards the end of the Maastricht furore. It comprised Conservative Members of Parliament who were concerned about the direction being taken by the European Union towards becoming a federal state. In 1999, Hannan was elected to the European parliament. And in 2000, as the Danish referendum on the single currency approached, he was still fundraising for the No campaign – and had reportedly raised £100,000 – though, by now, he was using the address of his own central London flat. With Hannan occupied in Brussels, the Tory MP David Heathcoat-Amory was a subsequent chairman of the ERG. According to the pro-Brexit website Brexit Central, his chairmanship included the period 2001-2003 when he was also one of the UK’s delegates to the Convention on the Future of Europe, which ultimately drafted the European constitution (which he opposed). Heathcoat-Amory is famous for saying to the black MP Dawn Butler “they let anyone in nowadays” and stood down from parliament in 2010 after his extravagant expenses claims – including for horse manure for his garden – were revealed. From 2002-2004, Matthew Glanville – Jacob Rees-Mogg’s brother in law, and an occasional TV militarist – was the group’s staff member. In 2007 Robert Broadhurst took over the job running the ERG, and became their longstanding head of research. However, the ERG seems to have faded a little from view in the Eurosceptic world, as other groups started to dominate and Blairite ‘Eurothusiasm’ set the mood at Westminster. Hannan’s old friend, Mark Reckless, who was a Tory then Ukip MP and then a Ukip and now Tory Welsh Assembly member, said that the then Conservative leadership was “not serious about real change on Europe”, and privately described the ERG as “a backwater with little real influence on policy till the arrival of Steve Baker.” (Baker, who is now a minister in the Department for Exiting the EU, became chair in 2016). During this lacklustre period the ERG did, though, manage what is perhaps the most important trick in politics: it survived. And once the Tories returned to government, the group gradually grew. In 2010, Chris Heaton-Harris, the MP for Daventry and former West Midlands MEP who has since become famous for writing “McCarthyite” letters to universities, took over as chairman of the group. He held this post until November 2016. 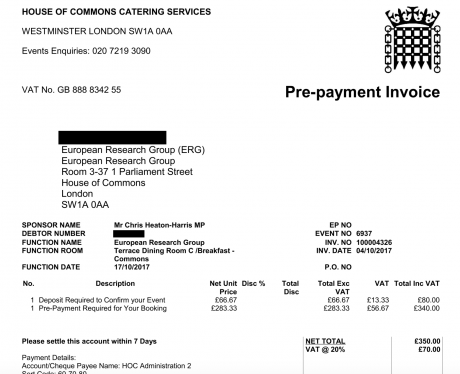 Documents from the House of Commons catering department released via Freedom of Information to openDemocracy show Heaton-Harris hosted an ERG breakfast meeting as recently as October 2017 – despite taking over as a government whip in July 2016. Continuing to chair the group as it put pressure on the government he was concurrently a member of contravenes the ministerial code, although a government spokesperson has told openDemocracy that they do not view it as a breach. Since June 2015, Christopher Howarth, son of the long term ERG member and former government minister Gerald Howarth, has had the job running the group. MPs are usually required to declare in their register of interests if their expenses are used to employ family members (although there is no specific mention of pooled staff in the rules). However, as Christopher took up the role, his father changed his entry in his annual expenses submission, so that rather than paying for “staffing”, his contribution was instead allocated to “office costs”. Christopher Howarth is a former staff member at the Eurosceptic group ‘Open Europe’ and for the Conservative MP and ERG member Mark Francois. Responses to Freedom of Information requests from openDemocracy to the House of Commons catering department show that he makes use of an office within 1 Parliament Street, a House of Commons building. However, when we rang the parliament switchboard, and even the reception for the building, they said they knew nothing about this office. Steve Baker. Image: BBC, fair use. 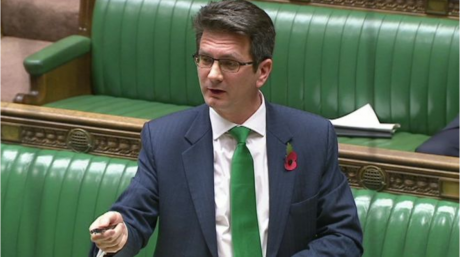 Steve Baker, part of the Tory 2010 intake of new MPs, took over as the chair of the ERG in November 2016, after the EU referendum. He relaunched the group along with the new vice chair Suella Fernandes MP, and it took off with a flourish, persuading, as Baker put it, “Sixty Conservatives plus colleagues from the DUP, Labour and UKIP” to sign a statement saying that “‘The UK must leave the European Economic Area (EEA) and the Customs Union’, the so-called ‘Single Market’” – the position we now know as hard Brexit. A month after Baker took over the role, the group accepted a donation of £6,500 from the Constitutional Research Council – the same secretive organisation which had previously funnelled a controversial £435,000 to the DUP for their Brexit campaign, and which has repeatedly refused to disclose the source of this cash. The Constitutional Research Council’s chairman set up a business in 2013 with the former head of Saudi intelligence and a Danish ‘private banker’ who has previously admitted to openDemocracy that he was involved in the Purulia Arms drop, which was a major Indian gun-running plot in 1995. MPs’ expense data going back to 2010 shows that a number of Tory MPs have paid subscriptions to the ERG whilst holding ministerial office: an activity which appears to breach the ministerial code’s rules on conflict of interest. In 2010-11, 14 MPs paid money to the ERG out of their taxpayer-funded research grants. The year after it was 15, including Theresa May’s new justice secretary, David Gauke, a junior Treasury minister at the time. They also included Mark Francois, then a government whip, and Gerald Howarth, then minister for international security. The following year, 22 MPs paid a subscription to the ERG, including the same three ministers and new prominent figures including David Davis and Liam Fox, who had just been forced to resign as defence secretary. The timing is relevant here because in December 2011, the group published a report on human rights which was critical of the government in a number of ways, and said they wanted – from the government that three of their members were ministers in – a “firmer guarantee that the Strasbourg Court will no longer be able to override the mainstream British understanding of human rights”. 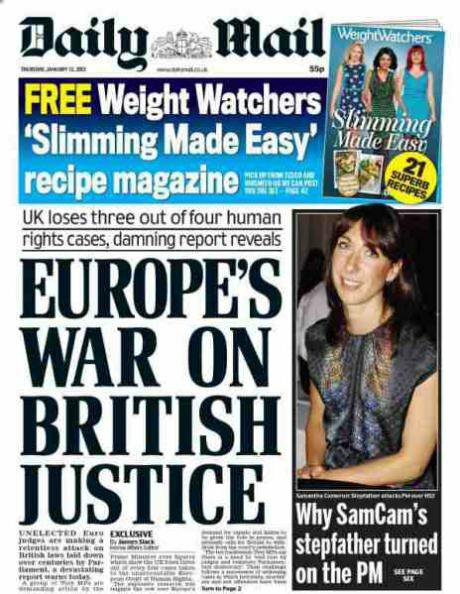 Also, in January 2012, they published another report by their head of research Robert Broadhurst which claimed that the UK loses three quarters of its human rights cases in the European courts, which was covered widely in the tabloids but dismissed by experts as “misleading” (the real figure is closer to one out of 50). In the following year, 2013-14, membership grew again, to 25, with Douglas Carswell, another old ally of Daniel Hannan, who was soon to make his dramatic switch to UKIP, and Sajid Javid – already a Treasury minister – joining. In 2014-15, Andrea Leadsom, who was already a member, became another Treasury minister. In May that year, the ERG said in a job advert that its aim was “changing the UK’s relationship with the EU and ECHR to minimise European interference with British Parliamentary democracy” – which seems to contradict the policy of David Cameron’s government. In 2015-16, Mark Francois, Penny Mordaunt and Sajid Javid all paid their subscriptions to the organisation while holding jobs in government, and the ERG gained its first cabinet level minister, as Javid became Secretary of State for Culture, Media and Sport. In 2016-17, the organisation’s paying membership was steady, at 26 MPs, but of those, nine had jobs in government including Michael Gove, then Secretary of State for Justice, Chris Grayling, then Leader of the House, and Sajid Javid, then Secretary of State for Business, Innovation and Skills. In addition, a number of other ministers in the current government are thought to still be active members of the ERG, despite holding government posts. Both of the group’s most recent former chairs, Suella Fernandes and Steve Baker, are now ministers in the Department for Exiting the EU. Baker, for example, is understood to have remained an active member of the Whatsapp group since taking up his ministerial post. “Ministers should take care to ensure that they do not become associated with non-public organisations whose objectives may in any degree conflict with Government policy and thus give rise to a conflict of interest”. It is worth noting that in the run-up to the 2016 Brexit referendum, David Cameron had allowed ministers to take their own positions on EU membership. However, outside of that limited period, there is plenty of evidence of the ERG taking positions at odds with government policy: it has repeatedly made statements which conflict with the government’s position, both since the EU referendum, and before it. “If you’re a minister you have a duty under the code to ensure that no conflict arises between your public duties and private – financial or non-financial – interests. And you have a duty not to become involved with organisations whose objectives may conflict with government policy. The government has denied that ERG membership is a breach of the code, claiming that group whose chair, Jacob Rees-Mogg, dramatically attacked government policy in the past week, is in fact nothing more than a research group. In a statement issued to openDemocracy, a spokesperson said: "This is a party political research group which provides briefings to Conservative MPs relating to the UK's relationship with the European Union. Such research groups are perfectly normal practice amongst political parties and we do not consider this a ministerial code issue. “The Independent Parliamentary Standards Authority has found that this spending is entirely within the rules. The research group provides briefing material for parliamentarians, and it is in the public interest for MPs, including ministers, to be able to receive briefing material from a wide range of organisations”. Meanwhile former shadow Foreign Office Minister Stephen Doughty MP pledged to raise the matter with the Independent Parliamentary Standards Authority (IPSA), and the Parliamentary Standards Commissioner, stating: “These further revelations about the shadowy ERG and their influence over the government in pushing an ultra hard Brexit agenda, in conflict with official government policy, are deeply concerning. I already wrote to raise serious concerns about the ERG before, and since then its last Head, Suella Fernandes, has been appointed a Brexit minister - showing just how much influence this shadowy group has in government. And SNP MP Deidre Brock said: “If Theresa May had control of her government we would be expecting these ministers to be sacked… but it’s clear from her failed reshuffle that she has no control. Her ministers are off attending dodgy parties in London hotels and, it’s now clear, paying public money to a private lobbying organisation that’s trying to change the direction of the government they’re part of. “The Prime Minister won’t act so the parliamentary authorities should. This is a disgraceful misuse of public money and IPSA should be calling them in on it, the rules have to change to stop this happening in the future and these MPs should be paying the money back”. The fact that the group organises on a Whatsapp group only adds to the secrecy surrounding the group. Whatsapp is an encrypted technology: just the sort of encrypted technology which the previous Conservative government tried to ban. (Although encryption cannot, of course, prevent a good old-fashioned leak, as happened this week when Buzzfeed revealed that ERG member Nadine Dorries posted to the group showing she didn’t understand one of the group’s most basic demands: exit from the Customs Union). Operating from the shadows – why? Over the months that we have studied the European Research Group, we have heard two claims about who they are. On the one hand, there is what the government itself claims earlier in this article – that they are simply a group of MPs chipping in to pay a researcher to write reports about Europe. On the other hand, there is what everyone else says: that this is a highly organised “party within a party” (to quote one Conservative MP), coming from a very specific ideological viewpoint and forcing Theresa May towards the hardest possible Brexit. Democracy depends on people with shared interests organising together – in itself, Brexit-supporting MPs collaborating to secure things that they jointly want is just this. However, what makes the ERG stand out is its refusal to act in public. It refused to publish its membership list, despite MPs supposedly being accountable to their constituents. It wouldn’t let voters know which of its members were using taxpayers’ money to pay for its staff member, until openDemocracy sifted through the data. It took money from the secretive Constitutional Research Council, which (as openDemocracy previously revealed) has been fined (in secret) by the Electoral Commission for failing to fully disclose where it gets its cash from. It operates on an encrypted Whatsapp group. In all these ways, the ERG has behaved as though it is above the rules, vocally flouting the basic code of behaviour for ministers, while Theresa May’s weakened government pretends that one of its most powerful critics, Rees-Mogg, is really just the chair of a reading group. Its former chairmen include two figures most tainted by the expenses scandal, as well as the MP Steve Baker, who (as we also revealed) took thousands of pounds from an arms company whilst helping run the committee which promotes the arms industry in parliament (extraordinarily, this isn’t prohibited in British politics). The final votes on Brexit draft legislation will be some of the most important votes in modern British history, enshrining key questions about the future of the country. If it really is the case that the European Research Group will be a “very powerful factor” in that vote, then UK citizens have the right to know its full membership, where all of its money comes from – and its full involvement with ministers in Britain’s current and previous governments. 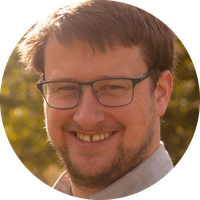 As Michael Chessum, national organiser of the campaign group Another Europe is Possible, said to us: "For those in charge of it, Brexit is not just a process or a policy – it is an agenda of deregulation and resurgent nationalism. These revelations demonstrate that. What we've got is a series of ministers, defying the government's own rules, queuing up to be part of a club to promote that specific agenda. For some of them it's because they share that rightwing ideology, for others it's about being on the winning side and advancing their careers. What we need to understand is that Theresa May's Brexit strategy is effectively mortgaged to this agenda – and we need to find a way out."